Where’s the Best Internet Service for Snowbirds AZ? Many snowbirds find themselves frustrated once they arrive in Phoenix because so many Internet Service Providers want to charge an arm and a leg for low-speed service. Furthermore, contracts are at least a year long, and often, coverage areas don’t even extend as far as they need to go to provide you with service where you live. Fortunately, there’s Phoenix Internet. As a yearly snowbird, you’ve no doubt got a huge checklist to complete before you head south for the winter. One of the things you’ll need to check off is setting up the Internet in your southern home. At first blush, this may sound simple. Just call a local provider, and sign up for a plan, right? But you’ll quickly learn that signing up for Internet services in Phoenix isn’t so easy. At Phoenix Internet, we’ve spoken to and helped thousands of snowbirds who are more than frustrated by the lack of Internet options in Phoenix. So if you’ve been saying to yourself, “What is the best Internet service my area has to offer?” know that you’re not alone. As a snowbird, not only will you be looking for quick Internet installation when you arrive, but you’ll also want to find a plan that doesn’t necessitate a long-term commitment. 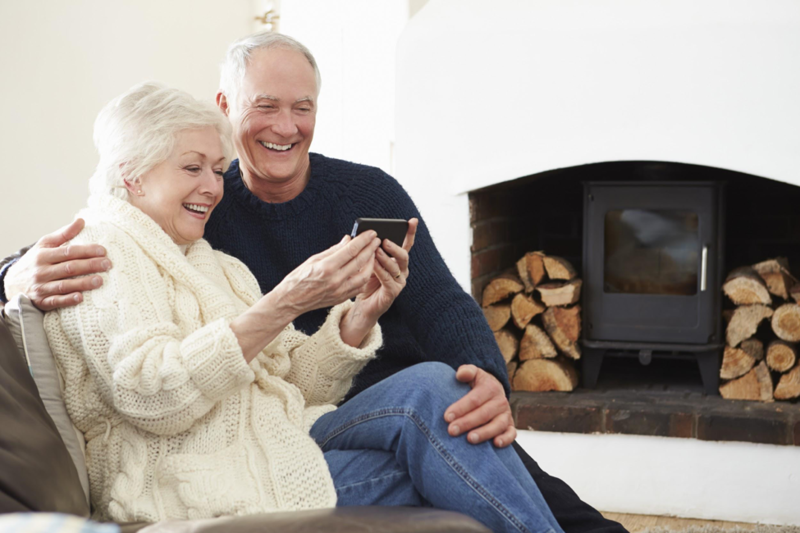 Phoenix Internet works with 10 specific communities for snowbirds allowing you to choose the amount of time that you would like your internet service to last. Only staying for 3 months? Get a 3-month internet service with Phoenix Internet. The first thing to know about finding great short-term Internet coverage anywhere in Phoenix is that you don’t have to rely on a mobile hotspot or satellite Internet just because you’re a snowbird. Both of these solutions are often slow, have latency issues, and may increase your monthly bill because of data caps. We take an entirely unique approach to providing Internet service to our customers. Our fixed-point, wireless technology allows us to provide Internet service to your home, no matter where your winter residence is near Phoenix. That’s because our service doesn’t rely on cable TV or telephone Internet infrastructures the way that cable modem and DSL service does. Moreover, we don’t have long-term bundle commitments in the select snowbird communities. You can get great Internet service for exactly as long as you need it. Top-of-the-line customer support: We take great pride in offering personalized customer service with live technicians who are always available to help. Wide-range service availability: We provide high-speed Internet service all over — even to places that other ISPs can’t or won’t. Quick installation: As soon as you arrive in your warm-weather home, we’ll be there to install your Internet. We can have you up and running in just a matter of days! Guaranteed Uptime: Our high-speed Internet has a 99.999% guaranteed “uptime” success rate, which means there’s little chance you’ll ever have to worry about issues with your service. Need Short-Term High-Speed Internet in Phoenix, AZ? Call Phoenix Internet! The best Internet service homeowners need when they’re just staying a few months in Phoenix is Phoenix Internet. Get high-speed Internet when and where you need it — and avoid those annoying long-term bundle plans that can cost you a fortune! To learn more about Phoenix Internet or to hear about the snowbird communities that we work with to bring you short-term services, get in touch with us! 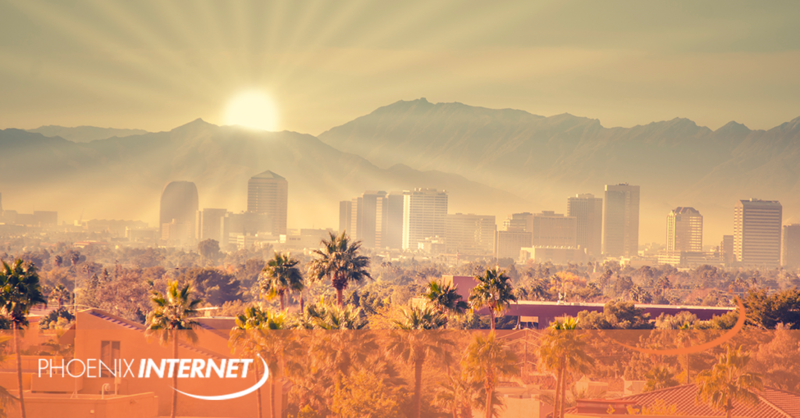 We’d love to hear from you and become your go-to Internet Service Provider while you’re here with us in Phoenix.